Investing in an HVAC overhaul can be a daunting proposition: select the wrong type and you could be missing out on significant cost savings or worse yet, optimal comfort levels in your home. The HVAC market is all about customization. With so many options and a seemingly endless list of variables affecting your purchase, it’s not the type of decision you want to rush. To find out what’s best for your unique home environment, it’s going to take a bit of knowledge-building on your part if you want to make an informed choice. 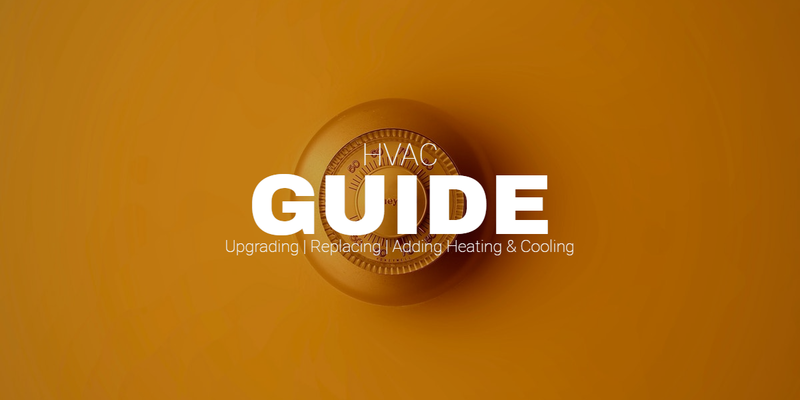 Your research can start here — consider this ‘HVAC 101’ for homeowners who need to consider upgrading, replacing, or adding to their heating and/or cooling systems. Before you lay down the cash for a new HVAC system, it’s best to know what you’re dealing with, first. That is, many homeowners find that a good first step is to have an energy assessment done by a professional. If you go this route, you’ll know about any energy-sucking leaks that might exist throughout your home. Since home heating and cooling account for nearly half of the average household’s energy use(1), this can be an important step. You’ll also learn whether it might be a good idea to insulate certain parts of your house. Whatever you end up deciding to do about your HVAC system, beefing up your insulation will make your home way more energy efficient. You may even find that, after adding extra insulation or insulating areas that were previously untreated, your HVAC system runs better. In any case, plugging up the air leaks in your home means you’re now ready for a properly-sized HVAC system. As you’re about to learn, ‘size matters’. Sizing is key. A system that’s too big typically means your costs will run higher. Both the up-front cost of purchasing the larger system and the ongoing cost of running the more powerful equipment will be higher. Your HVAC professional should be able to figure out what size heating or cooling system you need (if they don’t, they really don’t deserve the title of ‘HVAC professional’). Thanks to your HVAC professional, you’re now armed with the right technical knowledge about sizing your new system. Time to make some decisions. Your contractor or HVAC professional will present you with some options so it’s a good idea to understand what each one entails. Understanding your options is doubly important if you’re looking at purchasing a whole new system. Today’s systems come with a whole set of options that were never even available a generation ago. If you’ve studied HVAC systems in the past and you think you know your stuff, you might want to review what’s out there before you plunge into a decision because the technology has moved quickly in this market. 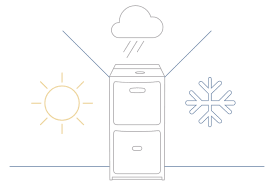 Case in point: today’s systems offer energy-efficient options that can have a surprising impact on your utility bills. They can also be set up so that heating and cooling is zoned. Let’s take a look. Here are the most common types of HVAC systems, with a handy ‘pro vs. con’ comparison of each. Furnace + AC. For homes located in climates that demand both heat and air conditioning, a furnace combined with an AC that has the condensing unit placed outdoors is a common choice. Heat Pump. For homes located in milder climates but where they might want some heat every so often, the heat pump split system is a good choice. 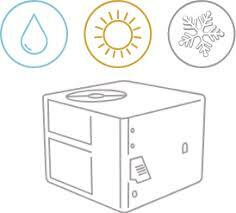 The heat pump is capable of both heating and cooling and works like an AC unit. 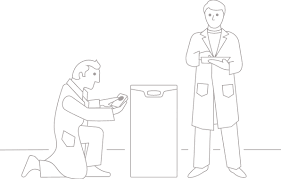 For heat, the equipment simply reverses operation. More on heat pumps below. Furnace + Heat Pump. Combining the best of both worlds — a regular furnace for extremely cold weather and a heat pump for cool and hot weather. Since there are two sources of heat, these are also called ‘dual fuel’ or ‘hybrid heat’ systems. Ductless Mini-Split. This is the type of unit you’ve seen typically installed near the ceiling. It consists of a horizontal, rectangular unit that contains the blower, while the compressor is located outdoors. Split systems are so common there’s not really much point to exploring the pros and cons. Either you need/want one or you don’t. 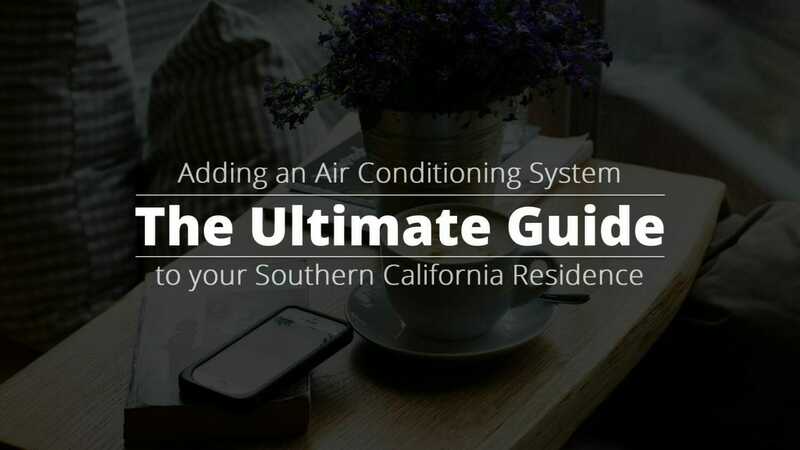 The other options would be 1) a window AC unit or a portable heater or 2) a ‘package unit’, which is simply central AC, where the whole package sits in a cabinet on your roof or next to your home. Pros. Split systems come with lots of options to match a homeowner’s heating and cooling requirements. They’re also efficient and affordable and can be used in a retrofit situation because some types (ductless mini-split) can be used where there are no existing ducts. Cons. Not usually a do-it-yourself project. You’ll need to pay a professional to install a split system, most likely. Poor installation can cause bad repercussions for years: reduced efficiency and a shorter lifespan. Heat pumps are technically a component of a split system but they deserve more attention because they’re a very attractive option for so many homeowners. You can add a heat pump to your existing furnace or AC unit for a mild-weather solution or you can install a heat pump to be your primary, standalone HVAC solution. Either way, the idea is simple: the heat pump moves air from one place to another, passing it through a condensing unit along the way. In summer, warm air from inside your home is transferred out. In winter, the process is reversed. If natural gas isn’t available in your region and you’d prefer not to use fossil fuels, heat pumps might be a good choice because they run on electricity. Pros. Heat pumps are among the most efficient HVAC systems on the market. They can reduce a home’s electricity use by half when compared to furnaces and baseboard heating systems(2). They are far more affordable than electric heat. Finally, since they run on electricity, heat pumps can be used where natural gas is not available. Cons. Heat pumps aren’t right for every climate. For the ultimate in comfort and energy efficiency, zoned HVAC systems can be installed. Save energy (and money) by heating or cooling only the areas of your home where you spend the most time. These systems employ a network of valves or dampers in your ductwork. These dampers can be controlled to shut off portions of your home that you don’t use, which is where the energy gill savings come in. Choosing a zoned system doesn’t exclude you from choosing a split system, as the two types are really referring to different features of an HVAC system. You can have a split system that’s zoned (it’s quite common, in fact). And keep in mind that whether you choose zoned or not, any new air conditioner will be significantly more energy efficient than older models. Even if your AC unit is only ten years old, a new one may result in a 20% to 40% savings on your cooling costs(3). People who are primarily concerned about heating their home rather than cooling it will need to know about single- and multi-stage systems. If you grew up experiencing deeply frigid winters in an older home, chances are the family home you grew up in used a single-stage heating system. That is, the heat was either on or off with no in-between. Your southern counterparts may have also grown up with a single-stage system too, only theirs was for cooling: one big AC unit that was either on full blast or totally off. For the deepest months of summer or winter, these systems may be all you need. To derive some control over air flow, it’s possible to hook up a fan that operates at variable speeds. But that won’t alter the efficiency of your system at all because the unit will continue to run at full power. Plus, the degree to which you can control that air flow really is quite limited. Pros. These powerful, single-minded systems really take care of business when it comes to cooling down your home or keeping it warm. Single-stage systems are also simpler in design and more common in some parts of the country, making upkeep less of a hassle. They also tend to be cheaper to buy than two-stage systems. Cons. During the shoulder seasons when you need just a tiny bit of heat, your single-stage system will still be going full tilt. There’s usually no need for a system to operate a full capacity when it’s not teeth-chattering cold outside. 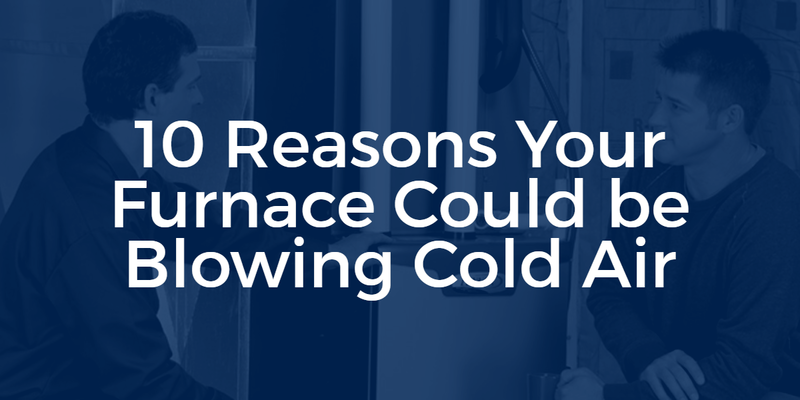 You may experience cold pockets in your home when heating with a single-stage furnace. Again, this type is mainly a consideration for people who need to purchase a furnace in a very cold climate. When the valve that controls the burner of your furnace can be set to be partially open, you have what’s called a ‘two-stage’ or ‘multi-stage’ furnace. It allows your system to operate on low. One chief advantage here is that if your furnace is allowed to run on low, it can run for longer periods of time without overheating your home. This allows for better distribution and filtering of the warm air. It also means you and your family can say ‘adios’ to cold pockets in your home. 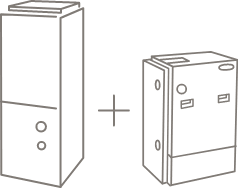 As for AC units, there are single-and two -stage options as well. The same principle applies here: with single-stage units, they’re either ‘on’ or they’re ‘off’. Newer on the scene is the two-stage version, which offers an additional (lower) setting. Pros of a Single-Stage Air Conditioner. More affordable than the two-stage units. Often enough, however, a single-stage system is all you need if you have a smaller home. Single-stage cooling systems may also be better at dehumidifying your home than the two-stage versions. Pros of a Two-Stage Air Conditioner. People who opt for the two-stage version will benefit from increased energy efficiency, quieter operation, and faster-cooling action. installed as an add-on. Dehumidification units may be installed to work with your air conditioning. Alternatively, if you install either type of unit separately from your furnace or AC, you will be able to control the humidity without having to turn on your HVAC system. For this reason, many HVAC professionals will recommend a split system with a separate humidifier/dehumidifier. Do I want central AC or will a mini-split ductless system be enough? Will I be in my current home long enough to realize the cost savings if I buy a more expensive yet more efficient system? Am I willing to uproot my life in order for a new duct system to be installed in my home? Of course, many of your questions about HVAC choices will be answered for you by your HVAC professional… those that will be determined by climate and house size, for example. But the other choices will need to be made by you, the homeowner. You’ve completed the first steps toward making a good decision, but there’s still work to be done. You’ll need to create a budget, analyze your needs, compare efficiency ratings, and talk to an HVAC professional. You’re on the right track so far, though, having done your homework here. That prepares you to get more out the conversation when talking to a pro, and in the long run, you’ll make a better decision because of it. 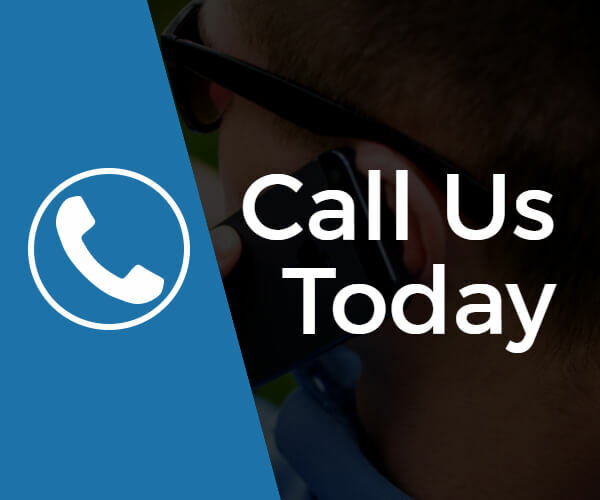 Call us today for a consultation to help guide you through this process.